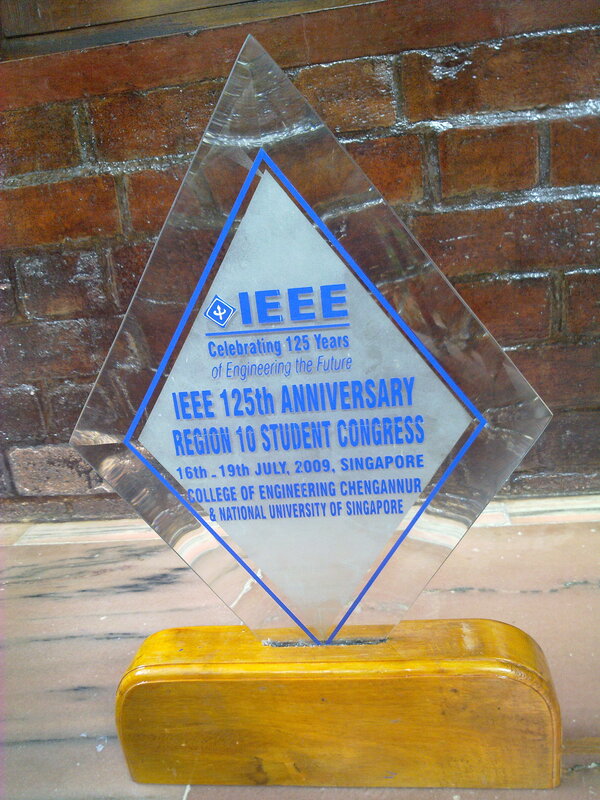 CEC has been handed over the memento and a certificate in Appreciation duly signed by the President, IEEE with the golden seal for our exemplary participation in the IEEE Region 10 Student Congress 2009 held at Singapore. CEC was the co-organizer of the grand event. I must congratulate Mr. Arjun R Pillai-CEC-2010-EC for his remarkable effort to get the appreciation documents from IEEE headquarters. 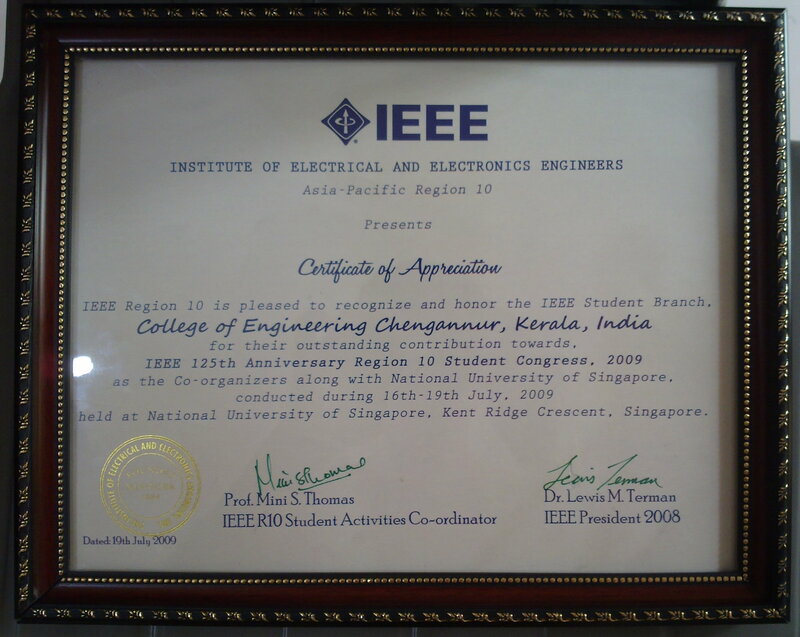 This entry was posted in Achievements of CECians/CEC, IEEE and tagged Appreciation, Arjun, Arjun R Pillai, CEC, CEC IEEE, Certificate, IEEE, IEEE Region 10, IEEE Region 10 SC, IEEE SC, Memento, R10, Region 10, SC, Singapore, Student Congress. Bookmark the permalink.